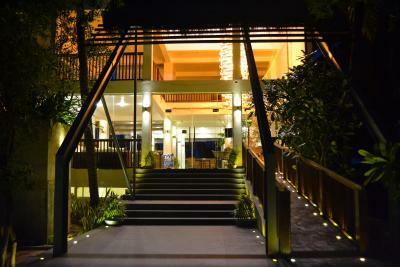 Lock in a great price for Blue Whale Resort – rated 8.7 by recent guests! The front office manager ( the man ) was super helpful and really went the extra miles to help us having a great time. 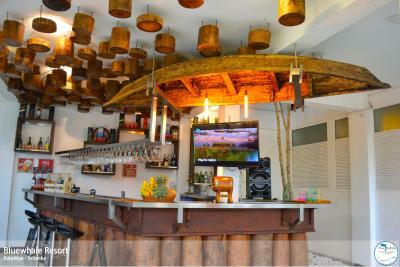 The architecture of the hotel and the facilities were outstanding mixing modern and traditional local design. It felt like a small piece of paradise. Wifi worked as expected compared to other hotels in Sri Lanka. Nature around the hotel is still very wild and untouched. 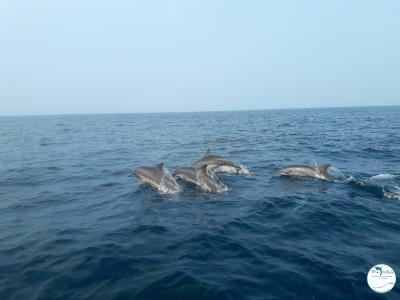 Our trip was highlighted with a beautiful visit to the dolphins. Liked to stay longer than our one day - it was so beautiful. 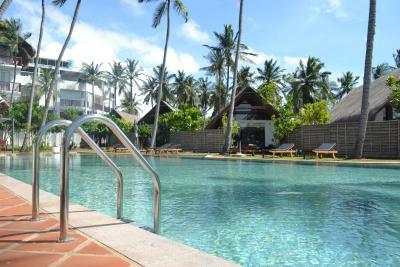 Fabulous pool, lovely beach, great views across the resort, pool and garden areas out to the ocean. 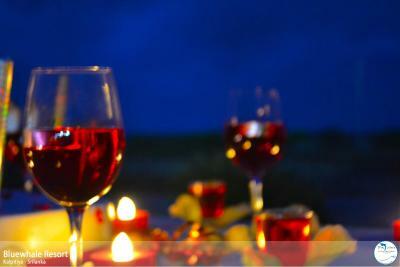 Excellent service, facilities and food. 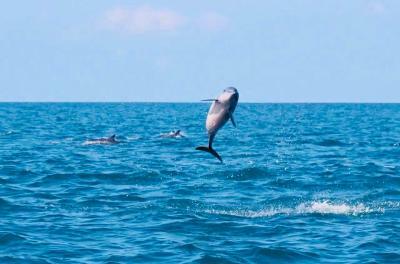 We hope to come back on our next visit to Sri Lanka. It was the most outstanding place we stayed during our trip. Great kite surf spot for beginners and the lagoon is shallow so you can stand everywhere. When we were there, the wind was good. Lagoon is just 10 min away from the hotel and they send us by jeep to the lagoon. There is a 3 hour session in the morning and 2 hours in the afternoon. We only did the morning sessions and relaxed in the afternoon. Instructors are of good quality and pleasant to work with! The staff goes out of their way to make your stay as pleasant as possible. We stayed there with our 1.5 year old boy and sometimes we had to look for him because he was playing with the staff. The hotel recently opened and everything is new and well thought out. 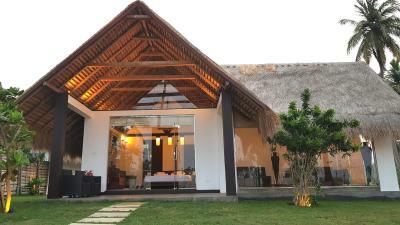 Kite lanka is next door so also for kitesurfers that want some more luxury this is convenient. We would definitely stay here again. Good location. It’s a new modern hotel with a nice pool surrounded by palm trees. 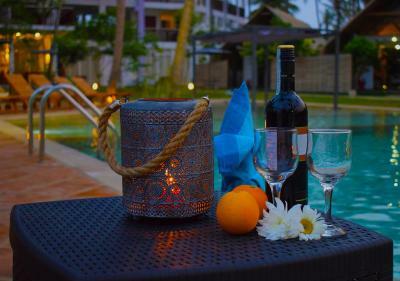 Excellent resort to enjoy natural tropical environment in comfortable atmosphere by lovely pool where you can have also romantic dinner upon request. 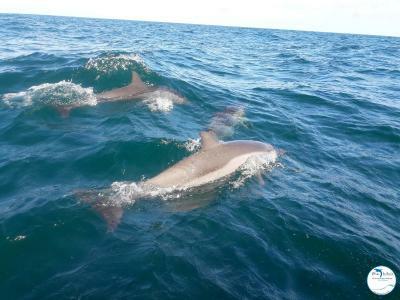 Very close to the beach, possible trips to see dolphins and enjoy kitesurfing. Welcome drink was very refreshing, also breakfast very tasty. Room with double bed and bathroom was also very pretty. Wifi is available also all around the pool area. 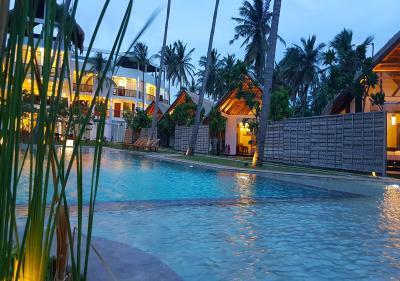 One of our top picks in Kalpitiya.Located in Kalpitiya, Blue Whale Resort features a private beach area and outdoor swimming pool. 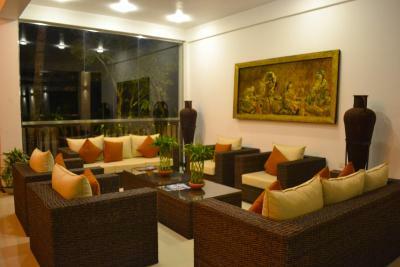 Among the various facilities of this property are a tennis court and a garden. 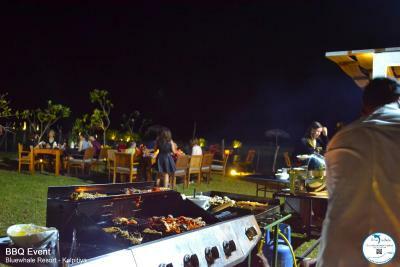 American and Italian dishes are served at the on-site restaurant. 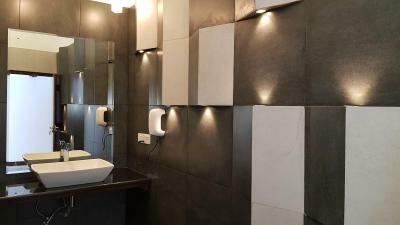 Guest rooms has air conditioning, a flat-screen TV with satellite channels, a toaster, an electric tea pot, a bidet, free toiletries and a desk. 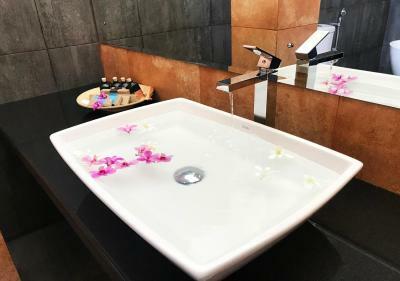 Featuring a private bathroom with a hair dryer, rooms at the resort also feature free WiFi, while selected rooms are equipped with a balcony. The rooms have a closet. You can play ping pong at Blue Whale Resort, and the area is popular for cycling. 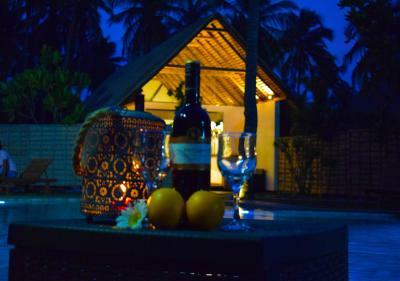 When would you like to stay at Blue Whale Resort? House Rules Blue Whale Resort takes special requests – add in the next step! Blue Whale Resort accepts these cards and reserves the right to temporarily hold an amount prior to arrival. The facilities are all overstated and hyperbole. The sports facilities do not exist as advertised. Management has gone to great lengths to photoshop the photos of the hotel to look better than it actually is. The quality of the food and service was poor. Sound from the dinning room and reception area including the phones constantly ringing could be heard in the rooms at night. Clam place. We enjoy lot. Staff also very friendly & helpful. Staff needs training and coordination. It´s not ok when you find the staff sitting in the guest sofas looking at cricket or occupied closely into their mobile phones without noticing your service needs; happened on several occasions. As soon as the manager turned up things got better. Staff should be working responsibly without manager inspection. But.... there is every chance in the world that all this above can be trained and affected after some training. On a general basis we liked the place! The pool. Manager personal smalltalk and checking on "everythings ok?" The staff were numerous but suffered from poor management and lax supervision. The daily housekeeping was forgotten on 2 out of the 9 day stay and only one of these occasions was rectified by being performed after 5 pm. In room bottled water, coffee or tea were often also forgotten. The physical facilities were excellent and numerous. Some of the staff were a bit more passive than others. 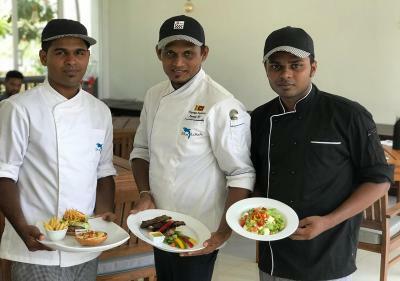 Everything was perfect and I am very glad I chose the Blue Whale as it was easily the nicest/classiest hotel in Kalpitiya. 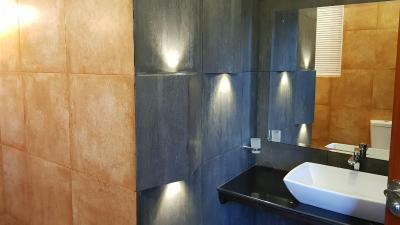 The staff, particularly Don in reception, were all incredibly helpful, friendly and welcoming. Whatever we asked, they were happy to help, organising dolphin watching and transfers, laying on an early breakfast and even helping me hunt when I misplaced my purse! The beach was wild and deserted and the pool was never crowded. Happy to recommend it! The curtains in the room are thin and white, which makes the room very light in the morning. They could be replaced by blinding curtains. The list prices for hotel tours are quite high, so remember to bargain for better prices - or book with someone else in the area with more competitive prices. 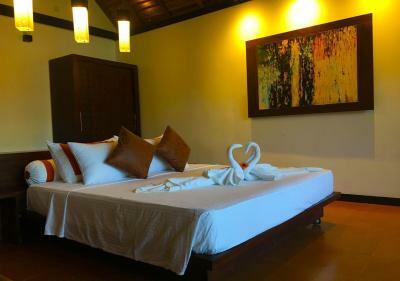 The Blue Whale Resort is a cozy hotel remotely located in a village outside Kalpitiya. There are few tourists in the area, and most of them are kite surfers, but you can easily have a good time without surfing. Beaches are a bit rough, but the pool at the hotel is large and very clean. 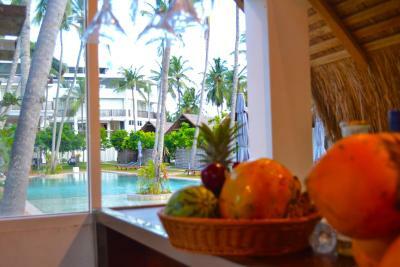 The hotel is surrounded by coconut plantages, which makes the area quiet at night. 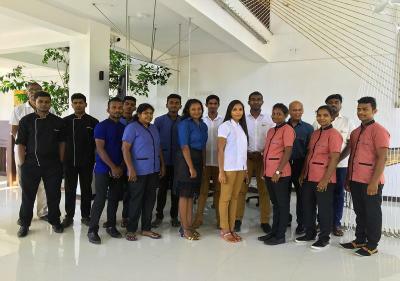 The staff is extremely polite, and the reception manager along with the hotel manager will go through fire and water to give you a good experience. Their service is highly appreciated. However, you cannot expect the rest of the staff to understand English all that well. Unfortunately this otherwise great place is seriously let down by the food (both on quality and value for money) which is a pity as customers will start to go elsewhere for meals. 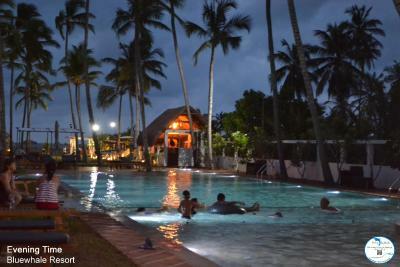 Great location on beach and lagoon, nice pool, clean spacious rooms, cabanas excellent, enjoyed some table tennis, friendly staff and management, very well organised tours by the hotel (dolphin / whale watching and Wilpatu Park) and the beer was icy cold. No WiFi in our room. We stayed in a beach villa. Nothing really. It's a new place so staff still getting to grips with some things but expect that will improve. Nice bungalows, great beach/mini lagoon access for kitesurfing, nice pool, food and cocktails were fairly decent. Rukshan at the front desk was already extremely helpful.